The playlist above is from the Simplyeighties Youtube channel and features every official Vevo video from the 1980s. 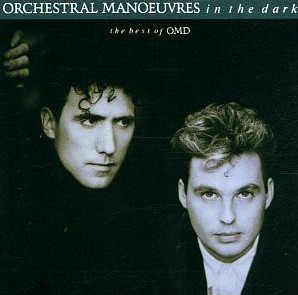 As if you didn't know already, Orchestral Manoeuvres in the Dark (OMD) are an 80s synth pop group from England. They were created in 1978 by Andy McCluskey and Paul Humphreys. By the end of 1980 they had become a quartet, adding Malcolm Holmes and Martin Cooper. Other musicians also joined the band at various times between 1980 and 1996. In 1989, Humphreys, Cooper and Holmes all left OMD to found The Listening Pool. Andy McCluskey kept the OMD name and continued to record and tour as OMD with new line-ups through 1996. McCluskey retired the OMD name in 1996, but soon afterwards Humphreys began playing live shows again as OMD with other musicians on an as-needed basis, but without McCluskey. The original 1980s line-up began touring in 2007, and further successful sold out tours took place in 2008 and 2009. OMD released a new studio album called History Of Modern in 2010, and a new album entitled English Electric during 2013. On 1st September 2017, the duo released their thirteenth studio album The Punishment of Luxury. 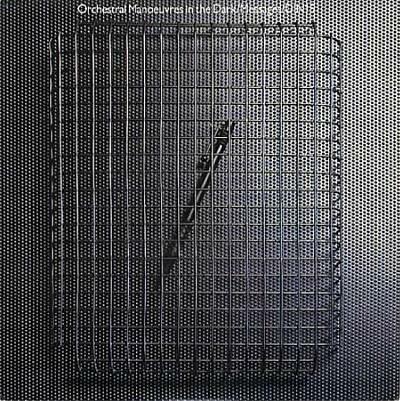 The cover from the second OMD synth pop album Organisation, which was released in 1980. It featured the hit single, Enola Gay. 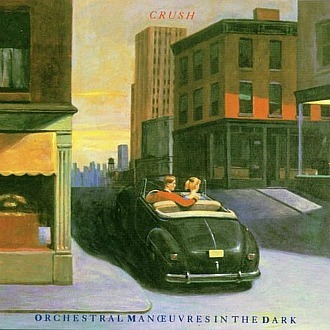 This was the third Single from OMD's self-titled debut album Orchestral Manoeuvres in the Dark, released in 1980. This song reached No.13 in the British Charts. I absolutely adore this song and it kind of reminds me of Jon & Vangelis - I Hear You Know. 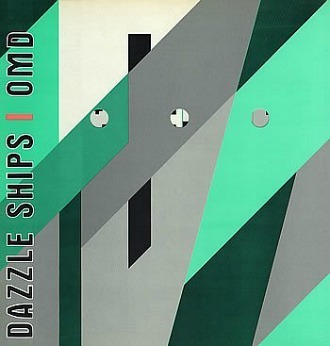 I'm a big fan of 70s and 80s electronica, and particularly like OMD's earlier stuff. The follow-up to Messages (#13 UK) was the only single to be released from OMD's 80s album Organisation, and it managed to reach No.8 in the UK singles chart making it their biggest hit at the time. The success of Enola Gay contributed to the success of the next (third) album release, Architecture & Morality. 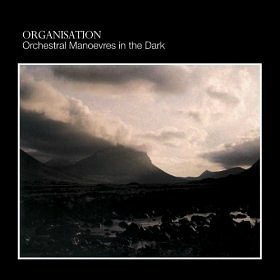 This produced three of OMD's biggest UK hit singles which all reached the top five; Souvenir (#3), Joan of Arc (#5) and Maid Of Orleans (The Waltz of Joan of Arc) which reached #4. 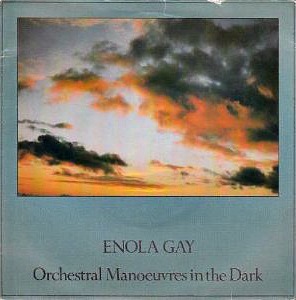 As a big fan of OMD's original Enola Gay single, I am always a bit dubious about any remix. Okay, he's no Jean Michel Jarre, but I always enjoy a good dance tune by the German DJ Sash, and his hit single Encore Une Fois was a classic 90s dance tune. 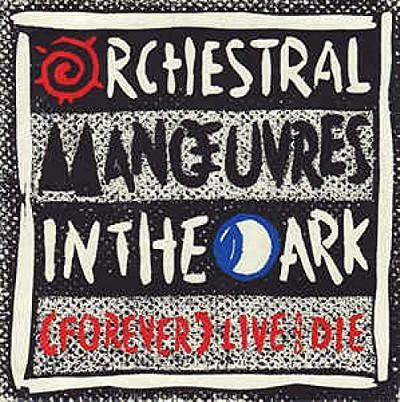 This remix of Orchestral Manoeuvres In The Dark's Enola Gay was released in 1998, and although the original definitely remains my favourite, this is an energetic remix that got people dancing to OMD again in the clubs, at least! 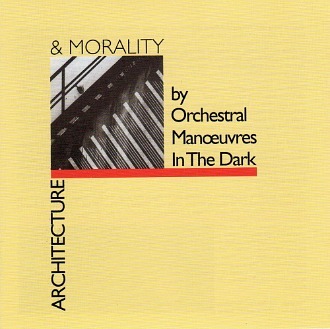 I was big fan of OMD's early 80s electronica and particularly enjoyed their third album Architecture & Morality. This was the lead single from the brilliant album Architecture & Morality, and reached #3 in the UK. It features a fantastically strong synth melody and vocals by band member Paul Humphreys who rarely provides the lead vocals. The video was shot around Stowe House in Buckinghamshire, England and starts with close-ups of a red Volkswagen Karmann Ghia convertible which is being driven by Andy McCluskey. Paul Humphreys can be seen standing on the Palladian bridge, but never gets to drive the car. Well, that's a bit mean, Andy! Maybe he thought that allowing Paul to take over the vocals was enough generosity. The video received lots of airplay on MTV. Released on October 9th 1981, Joan Of Arc was the second single to be lifted from OMD's Architecture & Morality album, and reached #5 in the UK singles chart. This is actually my least favourite track on the album, although I don't dislike it. However, in my opinion the band should've released the next single Maid Of Orleans before this one. It's a much better song, and the fact that it charted higher despite being released as the last single from the album speaks volumes! "MAID OF ORLEANS (THE WALTZ OF JOAN OF ARC)"
This was the final single to be lifted from OMD's third studio album Architecture & Morality. Maid Of Orleans reached #4 in the UK (making it the third consecutive top five hit for the band) and #1 in several European countries. The song was written by band member Andy McCluskey on the 550th anniversary of the death of Joan of Arc on May 30th 1981. Not to be confused with Kylie's single, Locomotion was the lead single from the band's fifth studio album Junk Culture and reached No.5 in the UK. This catchy tune is definitely in my favourites list and comes from a time when the charts were packed with great songs. Three more singles were released from the album; Talking Loud And Clear, Tesla Girls and Never Turn Away. 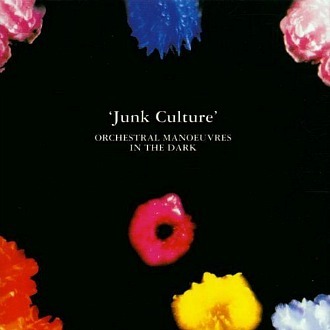 This single was the second to be taken from OMD's fifth studio album Junk Culture, and was the follow-up to the #5 hit Locomotion. It reached No.11 in the UK singles chart. At the same time of its release, John Taylor from Duran Duran was a guest reviewer for the the week in Smash Hits magazine. He stated that the single was "very charming". A completely new version of "Julia's Song" was recorded for the B-side. The more up-tempo version of the track has originally been included on the band's first album. 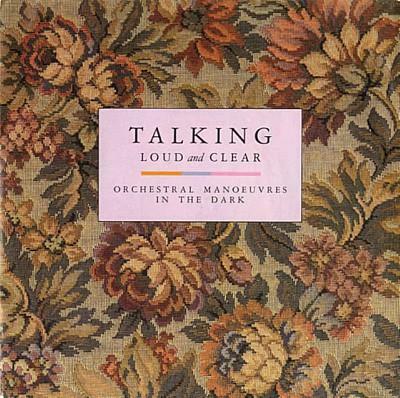 The 12" vinyl single featured an extended version of "Talking Loud And Clear" on the A-side and "Julia's Song" on the B-side. I nearly always enjoyed the original 80s 12 inch mixes, and this one is no exception. As with many electronic music mixes of the time, this is quite experimental and has an unpredictable feel to it. I've never been a huge fan of Andy McCluskey's nasal vocals, but I've always enjoyed the instrumental side of OMD's tunes. Released in August 1984, Tesla Girls was the third single to be lifted from the album Junk Culture and reached #21 in the UK. It was the follow-up to the brilliantly simple Talking Loud And Clear. The controversial video was branded as sexist by the media, but was actually the idea of Andy McCluskey who was trying to demonstrate the type of video that Virgin Records were forcing the band to create, in order to break into the American music scene. 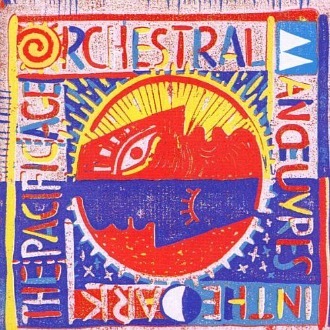 This was the first of three singles to be lifted from the 1986 album The Pacific Age, reaching No.11 in the UK singles chart. The other two singles failed to reach the Top 40 - "We Love You" (No. 54) and "Shame" (No. 52). Paul Humphrey's is on lead vocals. All versions of the single featured the B-side "This Town". Now that's a clever video and watching it had me mesmerised! The smooth-sounding song is based on Love's Theme by the 40 piece Love Unlimited Orchestra, which reached #10 in the UK during 1973 and was written and produced by Barry White. Released on 5th July 1993, the song was the fifth track on OMD's second studio album of the 90s, Liberator. The B-side of both the cassette single and vinyl 7 inch featured a song entitled Strange Sensations. The CD single included the Pianoforte Cruiser Mix of Dream Of Me, and an extra track The Place You Fear The Most. 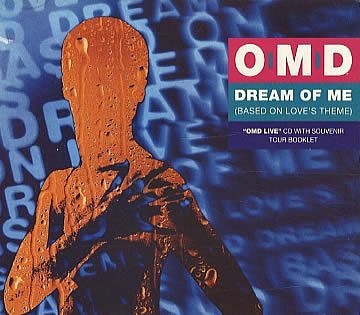 OMD actually went their separate ways in 1989, with frontman Andy McCluskey continuing to use the OMD banner. For the Liberator album, McCluskey worked with two keyboardists Nigel Ipinson and Phil Coxon. The classic OMD line-up reformed in 2006 and they released an album in 2010 entitled History Of Modern which received positive reviews. The band are currently working on a new album with a working title of English Electric which is due for release in April 2013.